Just when you think something should be pretty straight-forward in Spanish you find it out it’s not. Like when I learned how to say “maybe” in Spanish. And then I learned a second way to say maybe in Spanish. Which was eventually followed by a third and a fourth way to say “maybe” in Spanish. The good news is despite having multiple choices of how to say “maybe” in Spanish, they’re all quite simple. First of all, the words themselves are called adverbs of probability. Fascinating right? (this is where you imagine me rolling my eyes). Anyway, my disdain for grammar aside, let’s move on. To say “maybe” in Spanish you can use one of these four options: tal vez, quizás , quizá or a lo mejor. I know what you’re thinking, which one do I use? Is one more formal than the other? Are they really exactly the same? I had the same questions myself. But let me reassure you, they all mean “maybe” and when it comes to spoken Spanish it makes absolutely no difference which one you choose. All four of these options are 100% interchangeable. But there are two things we do need to know. 1. These terms are very regional. That means in some countries they may prefer quizás over quizá, or opt for a lo major instead. 2. There is a difference in grammatical usage. It doesn’t affect the meaning, but it does give you one more thing to think about when you’re putting sentences together in your head. I’ve rambled on enough, let’s take a look at some examples, starting with a lo mejor because it’s the easier of the four options from a grammatical perspective. When you use a lo mejor, grammar rules dictate you use it with the present tense. ¿Vas al cine esta noche? A lo mejor. Are you going to movies tonight? Maybe. A lo mejor me queda en casa. Maybe I’ll stay at home. A lo mejor llueve más tarde. Maybe it will rain later. A lo mejor voy en verano a las montañas. Maybe I’ll go to the mountains in the summer. A lo mejor no viene. A lo mejor te regalo un perro por Navidad. A lo mejor que voy. A lo mejor nos vemos esta noche. Maybe we’ll see each other tonight. A lo mejor ella me llama. There really isn’t much left to say about a lo mejor, except that it may be the most colloquial of the four options. It’s usage is very straight-forward and you probably won’t see this in formal writing. Now we can move on to Quizá, quizás and tal vez. Quizá, quizás and tal vez can be used with the subjunctive or present tense. Well, that’s confusing isn’t it? Ok, before I jump into this, if you don’t know what the subjunctive is, it’s used to express doubt about something. If the subjunctive is new to you or you need some help with it, then read my post on Tips for learning the Spanish Subjunctive Mood when you’re done with this. While grammatically speaking you can use either the subjunctive or present tense, you’re most often going to hear it used with the subjunctive, which is probably how you should be using it as well. At any rate, it’s not as bad as it sounds. Let’s talk about what this means by using a few examples. So on a practical level, what’s the difference between Quizás voy mañana or Quizás vaya mañana? If you were to say “quizás vaya mañana” (subjunctive), it would imply there’s really not much of chance you’ll actually go. But with “quizás voy mañana” (present tense) it would imply that there’s a (however slight) possibility you’ll go. Maybe it’s going to rain today. Let’s analyze this one too. When you use the subjunctive, llueva, you’re saying I’m really not sure it’s going to rain today, but it might. With the present tense, llueve, you’re saying I’m pretty sure it’s going to rain today. Maybe it’s been raining all week so you’re pretty confident it’s going to rain today too. Below are few examples of how to say maybe with tal vez. Although you can easily use quizá or quizás instead. You’ll notice a couple of them are exactly the same as some of the previous examples. I did that to illustrate that these expresses are indeed interchangeable. ¿Vas al cine esta noche? 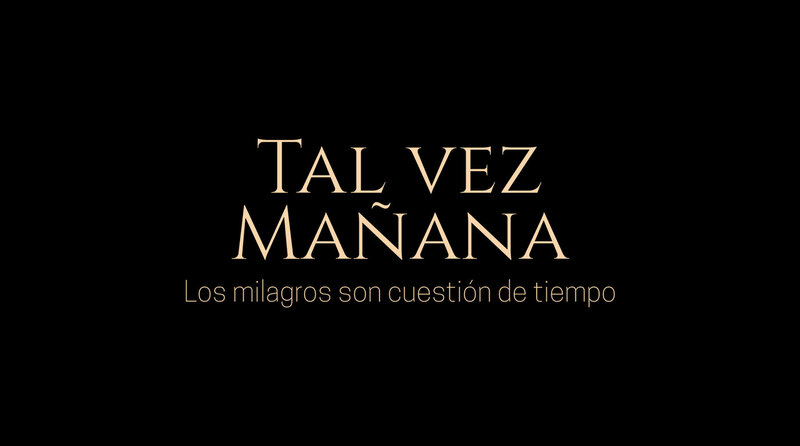 Tal vez. Tal vez me quede en casa. Tal vez llueva más tarde. Maybe it’s going to rain later. Tal vez llegue en diez minutos. I’ll be there in maybe ten minutes. Tal vez está enfermo y por eso no vino a la fiesta. Maybe she’s sick and that’s why she didn’t come to the party. Tal vez vaya al concierto. Maybe I’ll go to the concert. And that’s it. 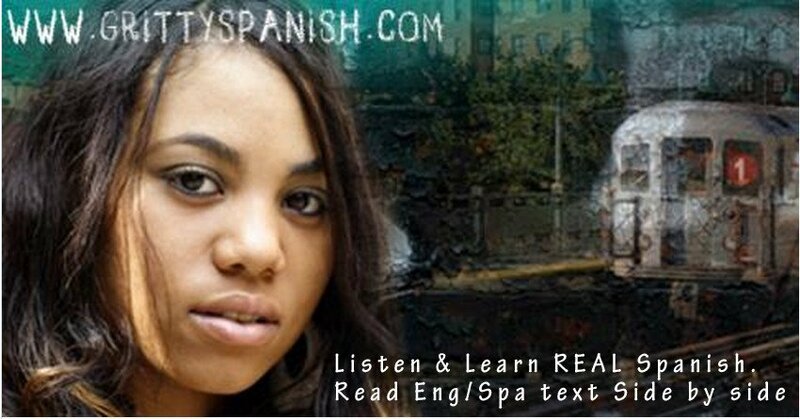 Now you know everything you need to say maybe in Spanish with confidence! But I want to talk about one last thing before I let you go. I want to give you a bit of practical advice. While we did look at some examples using the subjunctive tense, if you don’t know how to conjugate it don’t worry. You can learn that in due time, especially if you’re a beginner. In the meantime just use the present tense. This is one of those tiny language nuances that in all honesty, your average fulano (John Doe) doesn’t really care about nor is it going to prevent you from being understood. Ojala que les sirva. Hasta la próxima.